Presto Restoration Products & Services provides commercial building restoration, building maintenance & building cleaning services in Dallas Texas and surrounding cities. We pride ourselves on providing the highest quality workmanship in a safest and professional manner. 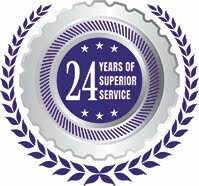 In order to provide the best services possible, we utilize the newest and most efficient products, tools and building restoration, maintenance and cleaning technologies. Presto Restoration Products & Services is known throughout our industry for our utmost professionalism in providing our building restoration, maintenance and cleaning services. Over the years, we have serviced some of the finest commercial properties in in Dallas Texas and surrounding territories. We invite you to explore our site and learn more about our services. Feel free to give us a call at any time. We take pride in presenting a professional image and services to our clients, starting with our website, site inspection, and our proposal presentation, and finishing with the actual services we provide. We know that our clients appreciate a solid service company that knows the meaning of good service, and has the experience to properly care for their property. We go the extra mile to effectively communicate the services required at each property, why they are required, and explain how our solution will work in order to remedy the restoration or maintenance problem. Presto Restoration Products & Services constantly strives to be the most professional service company in Dallas Texas, and years of experience has afforded us the ability to greatly increase our efficiency regarding the performance of the services we offer. Increased efficiency results in lower restoration and maintenance costs for our clients. Decreased costs for our clients allows us to secure a large volume of work utilizing our cutting edge restoration, maintenance and cleaning service technologies. This volume has afforded us a substantial amount of purchasing power from our vendors, further lowering our cost of goods sold. Property managers, building owners, and construction contractors alike can benefit from our assets.